Simple‚ safe‚ sanitary and built to last. 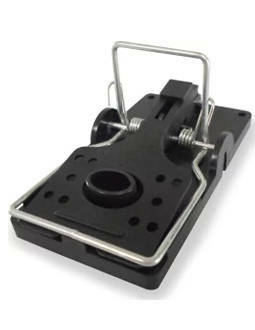 The durability of polystyrene and steel makes this trap reusable for years. Size: 14 x 8 x 7 cm, easy to clean, rat trap comprising plastic and metal parts, wherein a control agent is not allowed use is securely upright crate rat feeding places. Tylosin has seven mm diameter whole four, thanks to which stably be mounted to tubes beams where presumably the rodent passes. There is no need to purchase a separate special bait for a successful outcome.